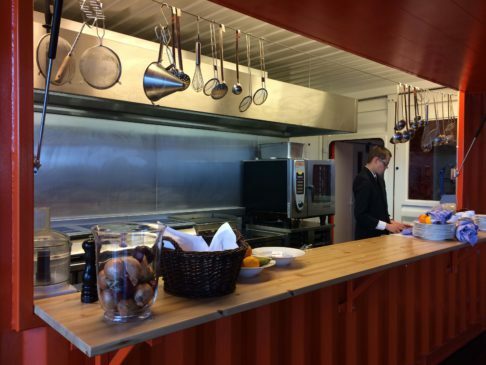 For the cooking school of the ROC in Groningen we developed a production kitchen with distribution counter and roof terrace. Because it initially was going to be a temporary solution durig a renovation, we based our concept on a Drop Box. 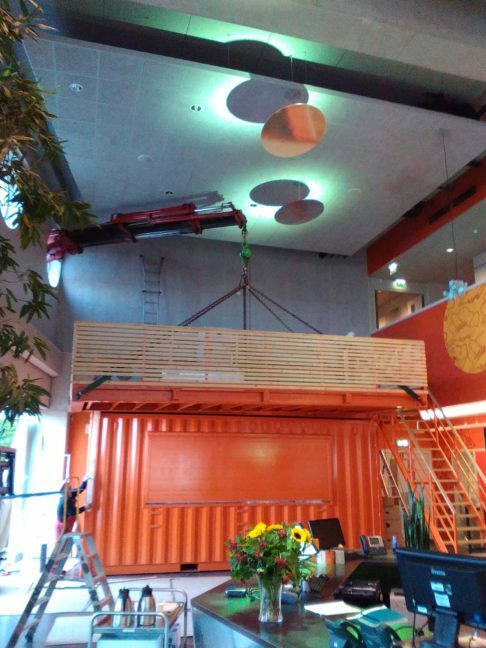 The Drop Box is a Food Truck Company concept based on shipping containers. The concept combines industrial looks with plenty of space and a great funcitonality. In the end, the schoolboard decided the extensive production kitchen deserved a permanent spot, so now the Drop Box is the eye catcher of the main building of the school.